Hello and welcome to our February newsletter! We are looking forward to another busy couple of months following the success of our three February lunches. We couldn’t have expected a busier start to the year with wine tastings from Simon at Slimlinewines at three of our lunches already! Slimlinewines have Zero Carbs and Zero Sugar for those of you who haven’t had a chance to sample them yet. Simon is offering free delivery to any of you who purchase a case of 6 bottles of wine using the unique code LadiesLunch6. We hope you enjoyed the Tunbridge Wells lunch on 6th February, the Worthing lunch on 7th February and the Hastings lunch on 22nd February. We’re looking forward to more exciting lunches throughout March, with our Brighton & Hove lunch at the Ginger Pig on 13th March and our Eastbourne lunch on 23rd March – these are already selling out fast so please book soon to avoid disappointment! 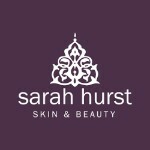 Our next Brighton & Hove lunch will be on 13th March sponsored by Sarah Hurst Skin & Beauty hosted at The Ginger Pig Pub, we are expecting a sell out so be sure toBook Your Ticket. Hopefully, we have grabbed your attention and you’re as excited about this as we are. Let me tell you a little bit about the treatment and then show you some before and after pictures so you can see what it’s all about. ACCOR NF+ stands for Aesthetic Cosmetic Corrector Plasma Pen. This hand held device emits a small electrical arc from the tip of the pen without actually touching the skin. This plasma arc vaporises the skin giving an immediate tightening affect to the surrounding skin. These small points form scabs that drop off over the following week post treatment revealing a smoother and tighter skin. It is suitable for lines and wrinkles, loose skin, scars, skin tags, warts, moles and pigmentation. Skin tags will be treated instantly, whilst warts and pigmentation spots form crusts that will fall off within a few days. I can feel you getting very excited and wondering if this treatment is right for you. If you are considering line reduction, an eye lid lift, skin tightening or a neck lift, but don’t want to go under the knife, this is a great alternative. Although completely non-invasive, you still need to expect a few days of down time after the treatment as the skin will need to heal and rejuvenate. We’ll give you some medicated make-up to help minimise the effects so you can get on with your daily life as normal. There are some contra-indications that we can discuss during the consultation. The treatment itself is really straight forward. To ensure it is as comfortable for you as possible, a local anaesthetic cream is applied 30 – 40 mins before commencing the procedure. You can expect a small degree of swelling when treating the eye area, which will go down within 3 or 4 days. Tiny, circular scabs form at each treatment point that take about 3 days to start falling away, but will take about a week to completely clear. We will give you aftercare to minimise infection risk. Once the skin has healed you will be left with a more youthful, radiant skin. The big question I am asked is, “How many treatments will I need?” This is where it gets even more exciting. The results from this treatment are permanent, so usually a single treatment is enough to achieve the results you want. However, if you do want a stronger result then we can repeat the procedure after 3 months. Because of its permanency you will only need to repeat it if required further down the line as we genetically age. So now you know how it works, what conditions we can treat and how many treatments you may need, let’s start to look at some results. “I love the idea of having an ACCOR treatment, what should I do now?” Call us on 01273 270709, email: sarah@sarahhurst.co.uk or call into our Carden Avenue salon to chat with someone. We can book you in for a no obligation consultation so you can decide whether this treatment is for you. What’s not to love? This entry was posted in Uncategorized on February 22, 2018 by Jacky Holmes.